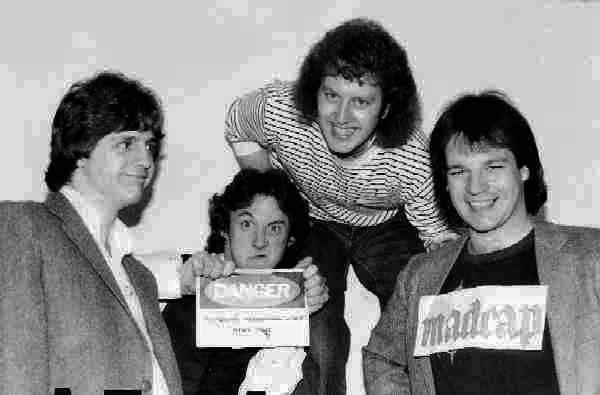 The band formed in 1979. Madcap played many original tunes, Pink Floyd tributes, ELP, Yes, Beatles, Stones, King Crimson, Golden Earing, Oingo Boingo and other varied tunes. They played many hall parties and booze cruises and were very popular in the south end, their last gig at the old Burien Tavern in 1995. Other band ties include Big Stick, Drama, Snake Oil Daddy and the Storm.